Serves as a forum for the exchange of conservative ideas. Also contains investigative reports, late-breaking news, opinions, and commentary. The Weekly Standard is where the advocates of militarism and corporatism share the thoughts cobbled together by various industry lawyers, think tanks, and PR agents PR! - A Social History of Spin. It is regularly promoted through other avenues of right-wing cultism, like the Limbaugh show and all the little Limbaughs Echo Chamber: Rush Limbaugh and the Conservative Media Establishment. Like any propaganda, it should be monitored to see how the spin doctors of the right-wing establishment are deceiving those who subscribe to the values of elitism, imperialism, and other ugly aspects of the American empire Killing Hope: U.S. Military and C.I.A. Interventions Since World War II-Updated Through 2003. 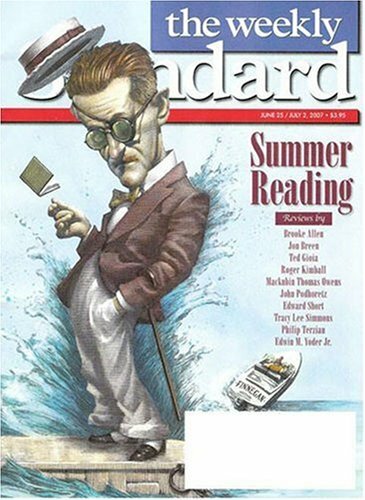 Weekly Standard - a MUST for conservatives!